Windows Live will be a major component for Windows Phone 7 and if you're not familiar with Live, some of the terminology can be a little confusing. You have Windows Live, Windows Live Mail, Hotmail, Live mail, Hotmail calendar and contacts as well as Live calendar and contacts. Here's a simple glossary that may help shed some light on Windows Live. Windows Live: The online portal to Hotmail, Office Documents, Messenger, Photos, Skydrive, and other "cloud" services from Microsoft. 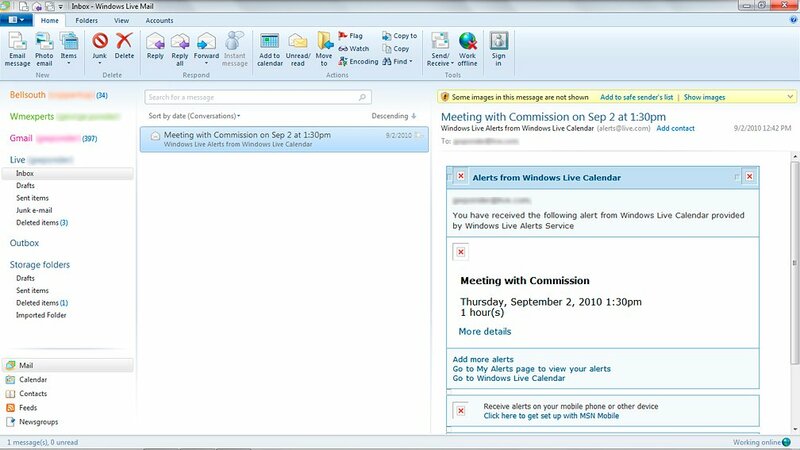 Hotmail: Microsoft's email, calendar and contacts component to Windows Live. You'll access windowslive.com with your hotmail address and password. Windows Live mail: The same as Hotmail and includes email, calendar and contacts. On a side note, a hotmail address can end in @hotmail.com or @live.com. Windows Live Mail: This is a component of Windows Live Essentials that runs from your computer. Just as Microsoft Outlook is a component of Microsoft Office. Windows Live Mail, again just as Outlook, has a email, calendar and contacts component. Windows Live Mail can access your hotmail and other email services (Google, Yahoo, etc.) plus you can sign into Windows Live through Live Mail and access your online contacts and calendar. It would have been nice if Microsoft could have come up with more distinctive terminology but as we all get used to the Windows Phone 7 and Windows Live environments, it will all become second nature.